A solid place to grab a cold pint, with a sectioned-off bar as well as a spacious dining room within its impressive log-cabin-style confines. 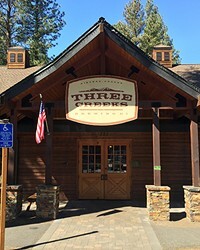 Three Creeks is both a family-friendly dining option as well as a spot to meet up with friends for a pint and some live music. 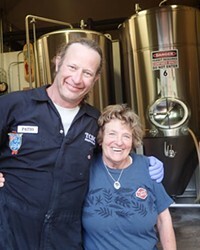 Since its founding in 2008, Three Creeks Brewing Company has produced solid beer and pub food from its barnlike building on the outskirts of Sisters. Favorites include Hoodoo Voodoo IPA, Raptor Rye and FivePine Chocolate Porter. The menu includes the burgers, sandwiches and chicken wings one would expect from a pub, but also includes gourmet entrees ranging from rib-eye steak to grilled salmon.